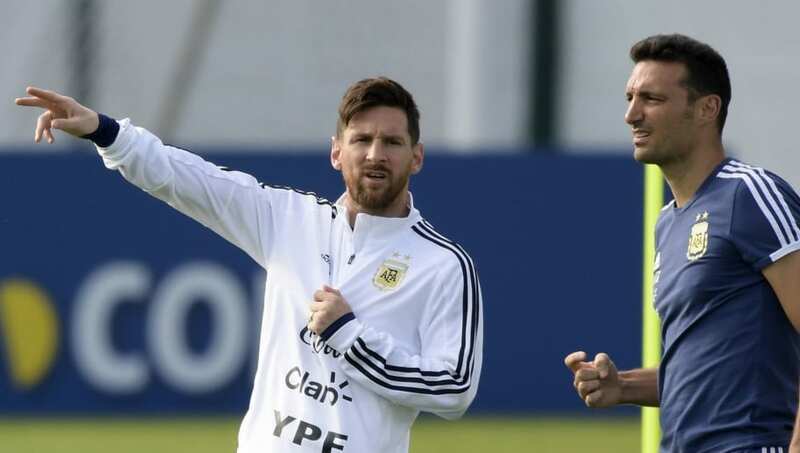 ​Argentina national team manager, Lionel Scaloni believes that talisman Lionel Messi will choose to represent his country in the Copa America competition scheduled to take place in Brazil in June. Scaloni admitted that he did not talk about the Copa America with the 34-year-old but is confident that Messi will play in the tournament. "Leo will be in Copa America. It is evident he will be. He showed maximum will here and we see he is very driven. When the match against Venezuela finished, we talked about the match, not about what is to come. We will work to get a better team," he said as quoted by ​ESPN. Messi returned to the Argentina fold for the first time since the World Cup during their 3-1 loss to Venezuela on Friday and will take no part in the Morocco game after picking up a groin injury. Despite his presence, Scaloni believes that his side will need to play collectively as a team and not depend on a single player, if they are to win their first title since 1993. "We have to work for that [the dependence on Messi] not to happen, for every player not to be always drawn to Leo. He will help us win matches, that's for sure," Scaloni added. The Copa America starts on the 14th of June.